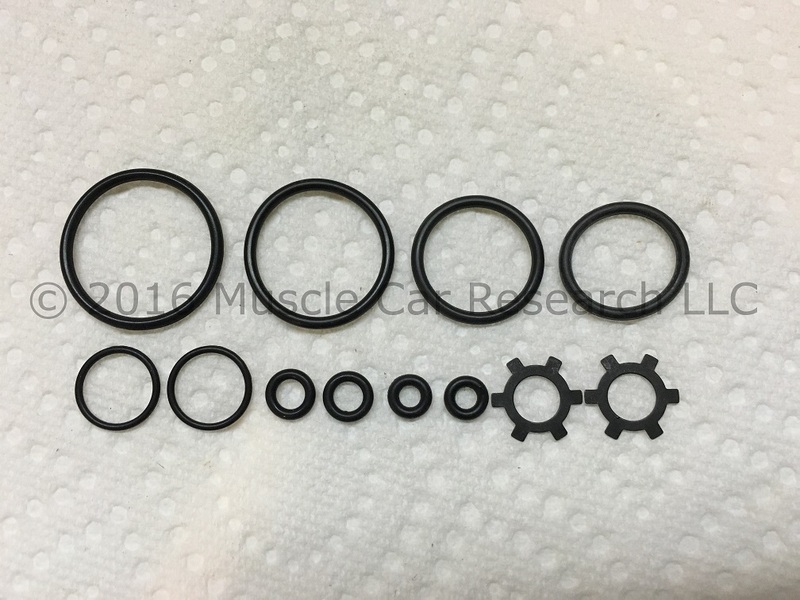 Muscle Car Research is proud to offer a rebuild kit for the Ford F6SC-2B091-CA proportioning valve used on 1996 - 1997 Ford Thunderbirds and Mercury Cougars. Our kit contains all of the parts needed to rebuild your leaky valves and return them to "like new" operating condition, including o-rings and retaining rings. All of the rubber parts are molded from a 70 durometer ethylene propylene diene monomer (EPDM) rubber compound that is fully compatible with automobile brake fluid, and all parts are made right here in the USA!